As a disclaimer, I joined one of the working groups for the new house communities. However, the opinions written here are mine alone. Here’s how I see the house system: it’s a way of establishing new communities of students that’s focused on closeness and continuity. Does it come at the cost of residential flexibility? 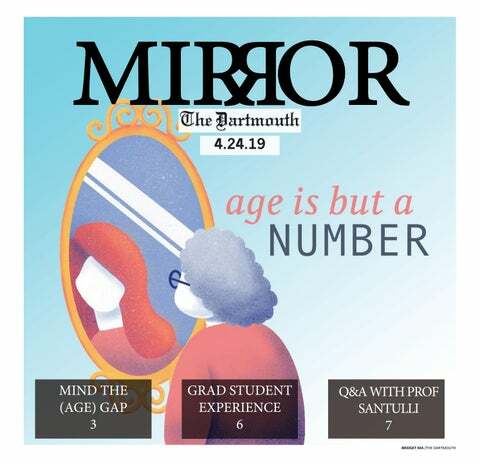 Yes, but in return we get a whole new facet of student life — a well-funded, student-governed and proud microcosm of Dartmouth. It addresses the well-documented social disruptions caused by the D-Plan. Is it at all anti-Greek? Absolutely not. This is not a zero-sum game. The house communities do not infringe on the Greek system in any way whatsoever — they provide an additional facet of life here. Say what you will about the administration’s “agenda,” but the house system is singularly focused on creating new social bonds, not destroying old ones. It will not and never will prevent someone from living and being active in their Greek house, nor is it designed to replace the Greek system. There are those who question whether the communities are even viable. There is little that can prevent people who live together under a single identity from forming a community. Change will always be hard and should be met with healthy skepticism, but imagine, just for a moment, feeling a unique, intense pride and connection to a few hundred other Dartmouth students; knowing that after an off-term, your house is still there; knowing that just down the hall are students you call housemates, if not close friends; meeting a professor not just on an intellectual level, but on a personal one. Imagine what this could be. I love the idea of the housing communities. The D-Plan, although great for career planning and development, can be difficult to adjust to. First, there is the dreaded term during which all of our good friends are off. Then, there is the inconvenience of moving across campus multiple times a year and having to store boxes in Building A, despite having lived in Building B and preparing to move to Building C. More broadly, there is a sense of discontinuity in one’s residential experience over four years — we start out living in an active first year floor, only to realize sophomore year that “residential life” is practically non-existent. I think the housing communities will alleviate many of these problems. The most obvious drawback is that not all housing communities, even though they include a variety of room types, are created equal, leading some to feeling stuck in a bad living situation for four years. But, at the end of the day, having a fun, supportive house beats having a single in McLane Hall. As a ’16, I have not put much thought into the new housing communities because they will not affect my experience as an undergrad at Dartmouth. That being said, this plan — like much of “Moving Dartmouth Forward’s” social life-related initiatives — is a half-baked idea with a poor execution. The new housing communities are a poor plan for what’s clearly meant to be a substitution for Dartmouth’s currently dominant Greek system. The reasons why residential colleges function successfully as social spaces and bases for communal identity at places like Rice University and Yale University do not apply to Dartmouth’s nascent housing system. For example, Baker College at Rice is more than just a place to sleep; it is a place to relax, to meet new people, to eat together and to study in a residence that is more than just a house — it is a home, one in which you can live for all four years of undergrad. The housing community system will not function like a residential college because students will be geographically separated into distinct buildings, there will not be large eating halls attached to each community (the current ones will still dominate), and students will not have the option to live in the same building for all four years. Moreover, the idea of cross-community events like intramural sports will crash and burn, given the incredibly busy extracurricular schedules of Dartmouth students stuck under an ineffective and inefficient quarter system — not to mention that many students already dedicate a significant amount of time to varsity and club athletics, in which case intramural sports would be a superfluous use of time. Maybe in a decade or two, when Dartmouth’s Greek system will probably be a memory and its housing communities are an institution, the social desires of Dartmouth students will be different — but I highly doubt it.